Simulation games are one of the best Android games. There are many simulation games which hit over 100 million downloads on Google Play Store. 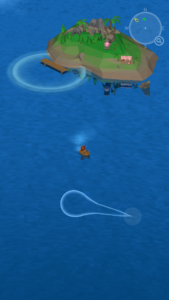 If you love simulation games, then you should play “Dokdo”, A Ship simulation game by Zzoo. In this game, you explore the islands, across the Pacific Ocean, and the Atlantic Ocean. However, there is another thing you have to do is destroy your enemies’ ship with cannon balls. It is a sea battle game in which you fight against other ships across the Pacific Ocean and the Atlantic Ocean. Another thing in this game is upgrading. In order to destroy strong ships, you need to upgrade the parts of the ships. You only have to control/navigate your ship in this game. You just tap on the screen and drag where you want to move. Where you have to move? – At the top right, there is a map where you can track land(Greenlight), enemies(Red light), and yourself(white point/compass). Just go ahead, if you see the red mark on the map, it means the enemy ship is coming towards you. Pinch to Zoom. How to attack in Dokdo game? There are two cannon placed at the end of the ship(one is on the left side, another one is on the right side). 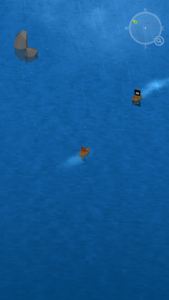 Your ship will automatically attack the enemy ship when any end of the ship(either left or right) is towards the enemy ship. So, your task is to control your ship, protect your ship from enemies’ attack. 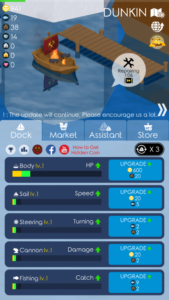 There are some items are required to upgrade your ship’s parts to the max level such as fish, wood, coins etc. You can get fish for free when you see dialogue pop-up while moving. Just stay there and wait until you get the fish. 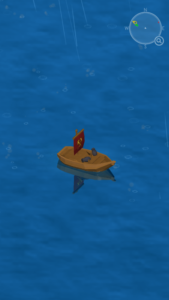 You will get these items when you destroy some enemies’ ships in the sea battle. Additionally, you can buy these items with coins or sell waste items for coins from the market section. Tips – Upgrade ship’s body parts, speed, cannon, and turning movement first. Keep rotating your ship when you are attacking other ships. 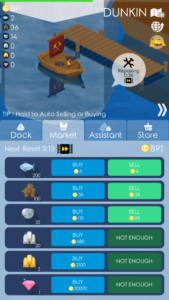 Catch some fish and sell for coins. Download – here[Google Play Store].